Today, part of the ETC ecosystem held a call to kickstart discussions about the proposed hard fork, nicknamed Atlantis, as specified in ECIP-1054. Spurious Dragon contract-code size limit. Byzantium EVM opcodes, namely REVERT, RETURNDATASIZE, RETURNDATACOPY, and STATICCALL. Byzantium EVM precompiled contracts, namely addition and scalar multiplication on the elliptic curve alt_bn128, optimal ate pairing check on the elliptic curve alt_bn128, and BIGINT modular exponentiation. Replacing the intermediate state root field in transaction receipts with the contract return status. Change difficulty adjustment to target mean block time including uncle. 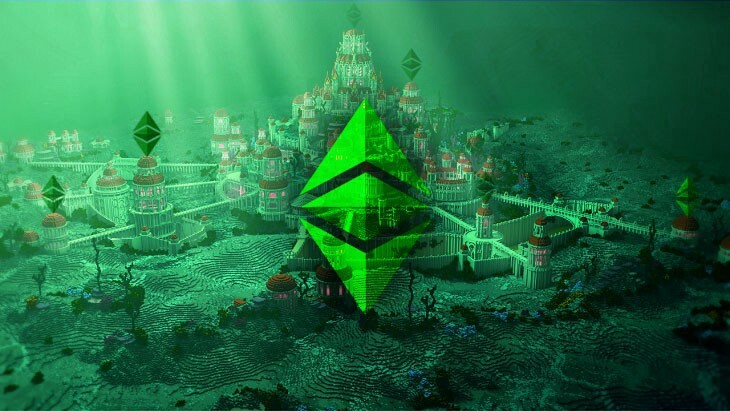 The present situation was described where the ETC core developers have specified the six changes in the Atlantis hard fork and are opening the proposal for discussion to the rest of the community. The goals were also discussed and these include performing the hard fork on block 8,750,000 on the ETC mainnet. Of the six changes the only observation was made by Zac Mitton to analyze the risk/reward ratio that state trie clearing (item 1 above) may represent as it does not affect ETH compatibility, and the benefits in reducing the state size seem to be marginal as compared to some risks when relating those changes to other ECIPs. Also, there seems to be some buggy code risk in the specification of that change. There was general agreement in the call to have a quantifiable benefit of the state trie clearing, and to analyze it further. Zac Mitton offered to run a script to quantify the state size reduction in GB and get back with some results. The state trie clearing topic will be followed up in the next few weeks to reach some consensus of whether to implement it or not. Cody Burns and others in the call agreed that if the state trie clearing were not included in Atlantis, that would have their support as well. Cody Burns asked to clarify whether other changes will be included in Atlantis other than the ones listed above. The general response was that there were no other changes projected for Atlantis so it will likely be frozen after there is a satisfactory conclusion of the state trie clearing issue. Other ECIPs were tangentially mentioned when Cody Burns asked if other changes were projected in Atlantis: Alex Tsankov mentioned that his ECIP-1049, a proposal to change the PoW mining algorithm in ETC, will take longer to test and debate so it was clearly not part of Atlantis. The Constantinople changes were mentioned as well, but it was also indicated that those changes will not be part of the Atlantis hard fork. Regarding Atlantis in particular, from the mining pool perspective, Nick Sawinyh of 2Miners mining pool, manifested that, as they don’t see any miner rule changes, they support the Atlantis hard fork as proposed, which was also manifested on twitter by the company. From the node operator perspective, Aaron Lowry, Maciej Nowosielski, and Nick Noriega, co-founders of ETH/ETC node hardware and operating system company, Ethernode, manifested that they will support the Atlantis hard fork as proposed. Ethernode also explained that they will communicate the upgrade to all their hardware node users with a notification to voluntarily upgrade their operating system to include the changes. In a previous part fo the call, the Etherenode team indicated to Alex Tsankov that they will also help him test ECIP-1049 (not included in this hard fork as expressed above). The Ethernode team noted that Atlantis will be deployed on the Morden testnet, but that the only client that supports it out of the box by default is Classic Geth, so they asked if the other nodes will support it. The response was that this issue will be relayed Multi-Geth core developers and that it is likely they will address it for Atlantis. There was a question whether Mantis will be supported in the long term and if it will include this hard fork. Kevin Lord responded that IOHK will support Mantis 100% and that the client will include this hard fork. In general all the changes as proposed were well received in the call, except for the state trie clearing, which will be discussed further with more analysis as described above. There were representatives from several core developer teams, mining operations, node operators, and other ETC ecosystem participants. The discussions about this hard fork will continue in the following days and weeks.